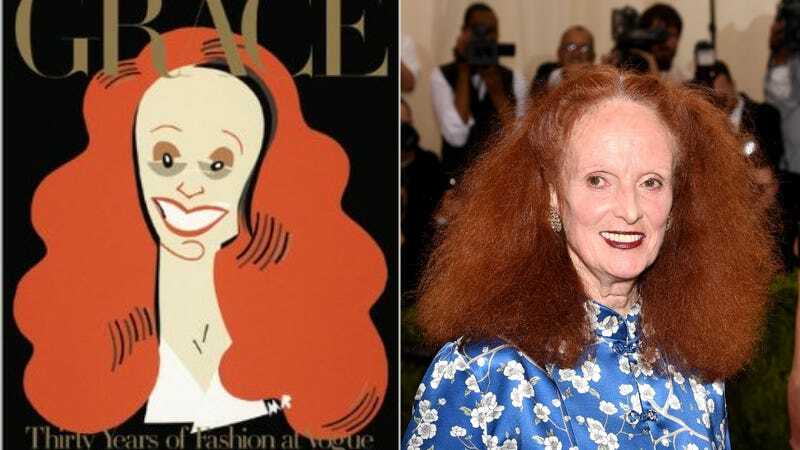 After the success of her first memoir Grace, it’s been announced that Vogue editor Grace Coddington’s 2002 book Grace: Thirty Years of Fashion at Vogue will be reprinted with additional materials, and that Coddington will also be putting out a sequel of sorts. What’s new in the Phaidon edition is a letter written and illustrated by Coddington, depicting caricatures of photographers she’s worked with over the years whose work appears in the pages of the fashion book. Also in the letter, she addresses her reasons for reissuing the book — chief among them — is to reach new admirers. It’s out in September, and will put you out a chunk of change (though at $100, it’s still less than the $700 the original coffee table book cost), but if you’re interested in “Forewords by American Vogue Editor-in-Chief Anna Wintour and designer Karl Lagerfeld. Plus personal anecdotes and insider stories of working with photographers Cecil Beaton, Irving Penn, Bruce Weber, Steven Meisel and Mario Testino, among others, and such fashion-world personalities as Naomi Campbell, Jerry Hall, Linda Evangelista, Penelope Tree and Manolo Blahnik,” this is the book for you.